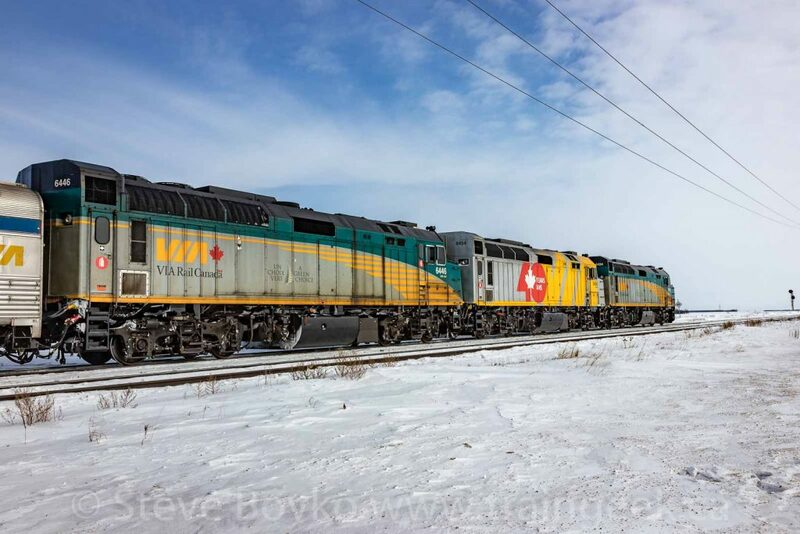 I posted a photo of a VIA Rail “Canadian” train to Instagram recently that featured the three locomotives on the head end. 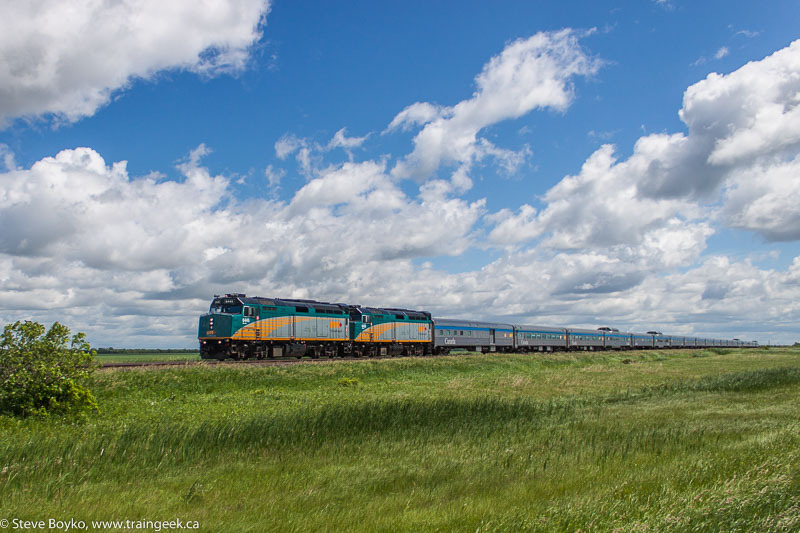 It sparked a discussion about the rarity of seeing more than two locomotives on the “Canadian”, even though its train length can often exceed 20 cars in the summer. I dug my sightings list out and did a bit of analysis. I’ve recorded 169 “Canadian” consists between 2004 and 2019 where I have all the locomotive numbers that were on the train. There are a few where I only have the lead locomotive, so I left them out of the list. It turns out that it is indeed rare for the train to have more than two locomotives. 91% of the time that I saw the “Canadian”, it had two locomotives. Maybe you like the data in a pie chart? While I had the statistics on hand, I did a little work in Microsoft Power BI Desktop and came up with a few little graphs. First up – how often have I seen the “Canadian”? I moved to Winnipeg in 2009 and photographed VIA quite frequently for the first few years, then slacked off for a few years. I see VIA 1 (Toronto to Vancouver) much more often than VIA 2 (Vancouver to Toronto). The reason is scheduling. Over the past 10 years, VIA 1 typically comes into Winnipeg in the morning and departs around noon, while VIA 2 comes into Winnipeg in the evening or night and departs late at night. 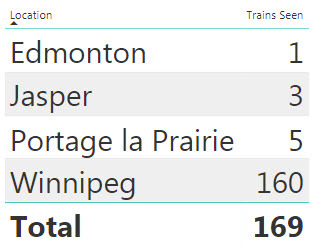 The VIA 2 trains I’ve caught have either not been in Winnipeg or have been late. Speaking of that, where have I seen the “Canadian”? Finally, I was wondering what the most commonly sighted locomotive was on the “Canadian”. The answer? VIA 6410 wins by a hair. 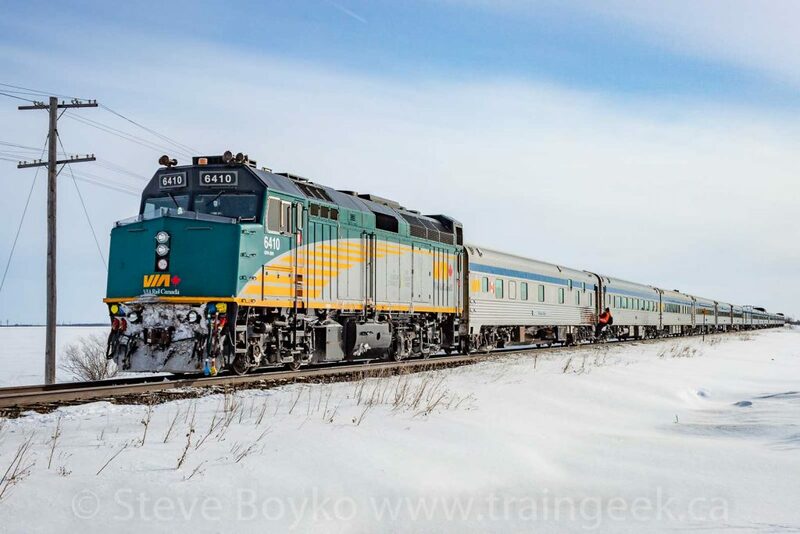 So there you have it – 91% of the times that I’ve seen the VIA Rail “Canadian”, it had two locomotives. Microsoft Power BI Desktop is a great tool for visualizing data like this. The best part – it’s free! If you like playing with statistics and seeing what comes out, you’ll like Power BI. Check it out. Charts and graphs. Charts and graphs. Well, they’re useful and quite instantly decipherable. That’s why I like them, too. Thanks for sharing and tabulating your sightings, Steve! I own a VIA Canadian trainset. It was a gift in the 1990s. The locomotive that came with it was 6410 in the original F40PH-2 paint scheme. The dome car that came in the set was not a Park car. It was a former Sceneramic Dome. The sides of the dome are silver to match the silver Canadian cars. I now know that those cars were never silver in VIA colours, but if they ever were, at least I would know what they would have looked like. That would be a prized possession! I’ve never seen a Scenaramic car. 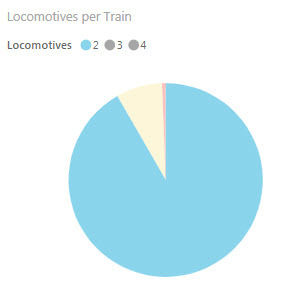 Interesting data, I have only seen the Amtrak Adirondack with two locomotives once. A have a question. What are you using to sell your photos? Hi Harrison, normally people find my photos online then email me directly to purchase photos or prints. I do have photos up on Pixels.com (https://pixels.com/artists/steve+boyko) and Redbubble (https://www.redbubble.com/people/traingeek) and people buy photos there too. Took the Canadian last summer and it had three. At a station stop I chatted up the head end crew and was told one locomotive kept failing on the road and how they spoke suggested it had done this before on previous runs. Perhaps it’s insurance of sorts should a unit be suspected of being unreliable? Maybe so, Chris! Or maybe the loco just came out of a refit and they want to give it a good run with “insurance” in case it fails?